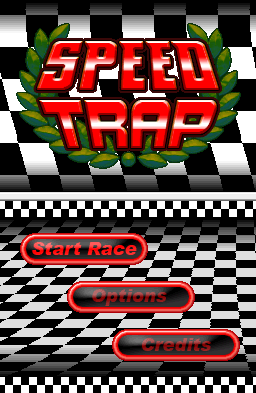 Speed Trap is a top-down view arcade racing game. The object is to complete a number of laps before time runs out. 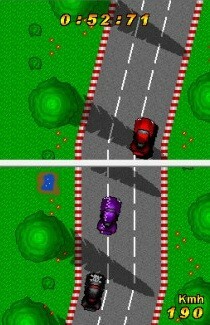 In the game, we can choose between three difficulty levels, 10 cars, with custom parameters and several tracks where compete. How to run the game. The game uses NitroFS file system, so it is possible that your flashcard can not execute directly. If you're updating from older version, ensure to delete or reset the savegame. START button. Press SELECT at anytime to come back to main menu. Greetings to all and to enjoy it. Fixed ARM7 issue in DSi mode ! Speed Trap 20110213 Final NEWEST!